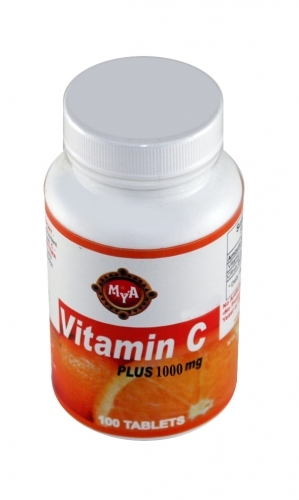 Vitamin C is needed for practically everything the human body does. It is an anti-oxidant essential for tissue growth and repair, adrenal gland function, and healthy gums. It protects against harmful effects of pollution, prevents cancer, protects against infection and enhances immunity. It may reduce cholesterol level and high blood pressure and prevent arteriosclerosis. Vitamin C is essential in the formation of collagen, it protects against blood clotting and bruising, and promotes the healing of wounds as well as the production of anti-stress hormones. It aids in interferon production and is needled to metabolize folic acid, tyrosine and phenylalanine. For complete information about this vitamin, read The Anatomy of an Illness by Cousins.